After delivering their "Salvation" single late last year, the Strumbellas have now lifted the curtain on a new full-length album. Titled Rattlesnake, the band's fourth studio effort will arrive March 29 through the band's own imprint Underneath a Mountain Records in conjunction with eOne. Nine tracks in length, it follows 2016's Hope. 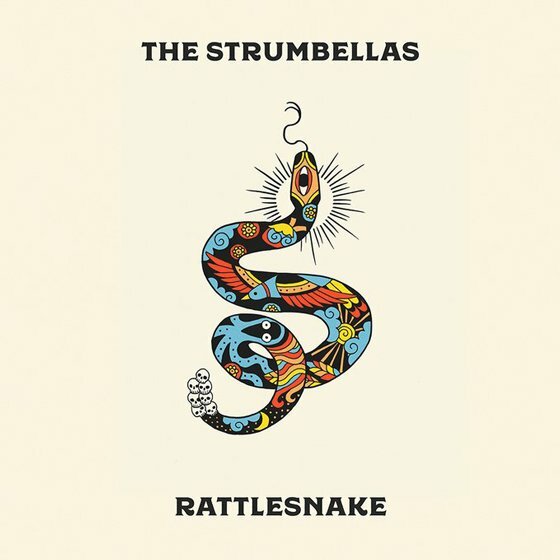 Rattlesnake is said to be "an uplifting album with songs that focus more on optimism." The record was produced by Tim Pagnotta (Elle King, Walk the Moon), co-produced and engineered by Brian Phillips. Recording sessions were split between the Tragically Hip's Bathouse Recording Studio outside of Kingston and Toronto's Revolution Recording. "Well, after the last tour, Izzy had a baby, I got an English bulldog, Darryl travelled to Bali, Jon built a cottage, Jer drove all the way across Canada in his 85' Camper Van, Dave grew a moustache and we made an album that we are REALLY proud of," frontman Simon Ward said of his bandmates in a statement. "Everyone in the band is SO excited to get back on the road to show everyone some new music." Rattlesnake is available for pre-order on vinyl and CD here, while the digitally inclined and pre-order/pre-save here.